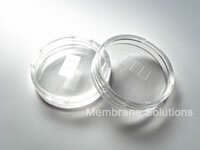 Cell Culture Dishes are manufactured from (USP class VI) virgin polystyrene to eliminate all materials and to ensure cell integrity. 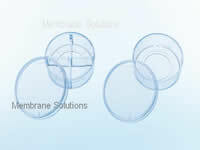 These dishes are ideal for cell culture and cell harvesting; available in four dish sizes with or without plasma treated surfaces. Plasma treating causes the otherwise very hydrophobic polystyrene surface, to become negatively charged and hydrophilic; allowing cells to attach and multiply. Growth surface areas are flat and free from striation to maximize usable growth area and transparency. The rim on upper side of the lid mates with the bottom of dishes for easy and secure stacking; spacers on the underside allow aerobic gas exchange while providing sample protection. Dishes are sterilized by gamma irradiation and are certified non-Pyrogenic.